If you have any questions or want to enquire about dates, use our form to contact Sarah Heyworth or see their website for more information. Sarah and conservationist John spent months travelling in a camper looking for their own special place and found this lovely old Welsh slate cutting mill… captivated by acres of wild woods and stunning views. You’ll feel at ease as soon as you step into their eclectic modern home with its reclaimed slate and wood, cosy wood-burners, books, games, snug bedrooms (one downstairs) and superb bathrooms. Breakfast communally on local eggs and sausages, honey from the mountainside, homemade bread and granola. Hike or bike the Mawddach Trail, climb Cadair Idris, wonder at the views… and John’s chocolate brownies. Minimum stay: 2 nights at weekends & in high season. Children over 10 welcome. Christmas, New Year, 5 November - 14 February. Treats, towels and throws for muddy paws, and wonderful walks from the doorstep. Dogs £10 per dog per stay. Max. 2. Dogs welcome in rooms & at breakfast. Advice on dog-friendly walks, beaches, places to eat & visit; doggie day care while guests take the train up Snowdon or visit Portmeirion. Packed lunch £7.50. Pub 5 miles. We enjoyed every minute here! We arrived at night and were greeted by the B&B fairy lights and a warm welcome from Sarah. Our bedroom was very comfortable and decorated with lovely colours. We liked all the little touches of the place, from the art on the walls to the chilled out music played at breakfast, and the views over the estuary are pretty special. They gave us recommendations for local walks in the area, some straight out from the end of their field. We've already decided we'll be back! Graig Wen is a special place. 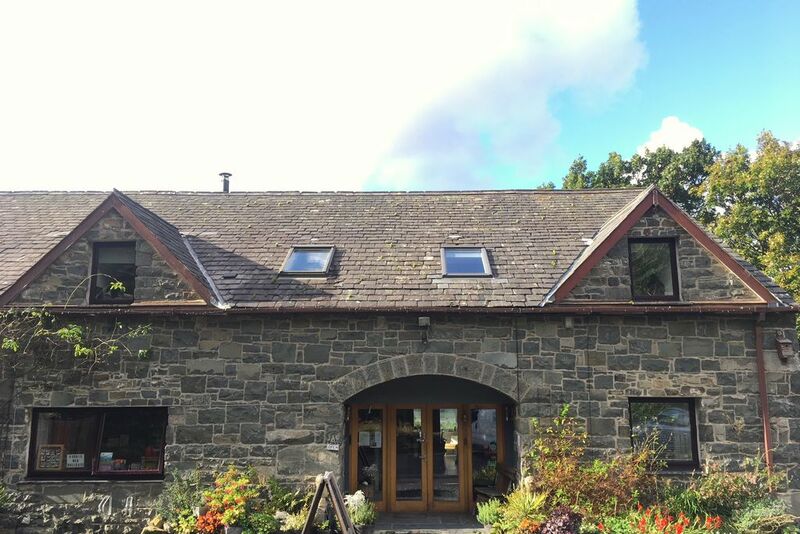 It is in a beautiful, peaceful location, our bedroom and shower room were comfortable and well thought out and the breakfasts were delicious and very generous. I would recommend this place without hesitation and hope to visit again in the future as we felt very much at home. Wonderful find, we were made to feel very welcome on arrival. Our hosts were so helpful recommending places to eat and where to go. Our room was so comfortable with lots of thoughtful touches. Fabulous bathroom! The views from the terrace over the estuary are stunning. There's direct access to the Mawddach Trail, 15km of disused railway line that's now a stunning waterside path ideal for walking or biking over the iconic bridge into Barmouth. Nearby you can horse-ride across the local beach, mountain bike at Coed-y-Brenin or try white-water rafting. Majestic Harlech Castle overlooks miles of sandy beach and steam railways include the train up Snowdon and the Ffestinniog railway. Cadair Idris is a beautiful mountain on our doorstep which has both straightforward and more challenging routes. The Italianate village of Portmeirion, famed for its role in cult 60s TV show The Prisoner, is truly unique and in a beautiful setting. Monthly Farmer's Market on third Sunday. For the ride of a lifetime, the exhilarating Zip Lines across the slate quarries of Blaenau Ffestiniog are 30 minutes drive away. Also here in the slate caverns you can Bounce Below at the world's biggest subterranean trampoline!